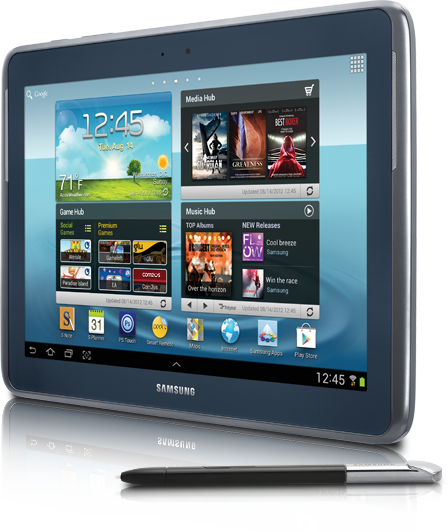 Fort Worth Linux Users Group Discussion Board • View topic - Raffle: Galaxy Note 10.1"
Tickets - sold at VFW-Post 2137 in Azle, Tx. Google Play store, Books, Movies and Music Preloaded: Contacts Alarm/Clock, S Planner, Camera, Gallery, Google Talk, Dropbox, Netflix, Gmail, YouTube, Web Browser, My Files, Email, Google Search, Latitude, video Player, Media Hub, Game Hub, Calculator, Music Player, Smart Remote, Settings ChatON, Samsumg Apps, Polaris Office, S Suggest, Google Maps, Google+, Google+Messenger, Music Hub, Navigation, Places, Video Maker, World Clock, Nook, AllShare Play S Pen Optimizer. Re: Raffle: Galaxy Note 10.1"
Is it too late to enter? when is the date?